I told him that it was much more recent, and he smirked, I assume because he got me to take his question seriously. He asked me if I knew that there was a Red Hulk, and I said I did. He wanted to know how, and I told him that I had read the Red Hulk’s comic book. 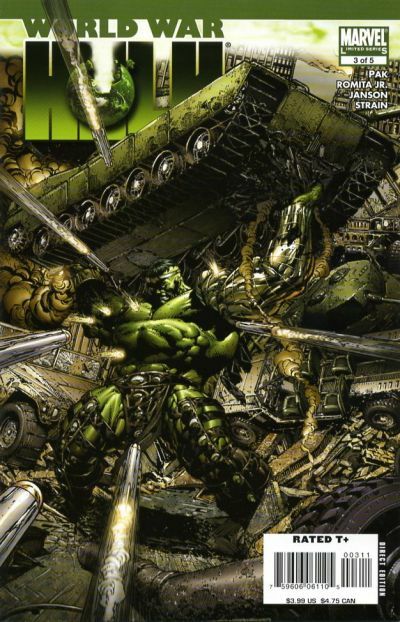 He asked when these comics came out, and I said after World War Hulk. He rolled his eyes, because OBVIOUSLY it was after WWH. Otherwise Red Hulk would have fought in it. I’m still not sure whether I answered any of his questions satisfactorily, but hopefully no Hulks appeared in his book report. Notes For a War Story by Gipi, one of the early First Second publications that made all of us at FBB fall for the publisher. Jamaal wrote more on this great book. Robot Dreams by Sara Varon, another great First Second OGN. We did a podcast about it! The podcast is old and probably pretty rough, but why not get nostalgic? I just found a pair of screenprint postcards of the book’s robot and dog I bought off of Varon years ago, and am hoping to find a place for them in my new apartment. The biggest news five years ago was the sudden death of Mike Wieringo on August 12th. August 12th has become a macabre date for the comics community, as it’s the same day Mark Gruenwald passed in 1996, and this year it also marks the death of Joe Kubert. More Transformers! I am still not sure about the differences between different Transformers iterations, but it does my heart good to see that the dueling Good/Evil Cassette Players with Transforming Cassette Minions survived until at least 2002, long after people stopped buying cassettes. They were always my favorite Transformers toys. Did they ever make compact disc Transformers? Is there an iPod Transformer with uh… docking socket minions? While Transformers took the official top spot ten years ago, the comic that actually sold the most copies in August was Fantastic Four #60, the first issue in Mark Waid and the late Mike Wieringo’s run on the title. It sold over 750,000 copies thanks to its nine cent cover price. DC had found success in 2001 with Ten Cent Adventure issues of Superman and Batman (and more moderate success with Chris Claremont’s Gen 13 #0 relaunch costing thirteen cents) so Marvel exec Bill Jemas, in classic Bill Jemas fashion, declared that they would sell a nine cent comic. Eventually this marketing tactic fell by the wayside, with Free Comic Book Day (and free digital samplers) replacing it. Green Arrow #16, Brad Meltzer’s first work at DC Comics. We started on the inevitable, horrible path towards Identity Crisis a decade ago. Point Blank #1, Ed Brubaker and Colin Wilson’s Grifter/Lynch mini-series from Wildstorm that introduced Holden Carver. Carver would go on to star in Brubaker’s Sleeper series drawn by Sean Phillips, launching a creative partnership that includes Criminal, Incognito, and Fatale. Wildcats Version 3.0 #1 was Dustin Ngueyn‘s artistic coming-out party, and a book well-remembered by the Joe Casey Fan Club. Putting a corporate twist on superhero fantasy, I thought it was an intriguing concept but given that the Halo Corporation had a free unlimited energy source and unlimited funding, the business “action” always felt like playing Sim City on God Mode. The Pro (written by Ennis) also served as a bit of a re-debut for Amanda Conner this month. Though she was over a decade deep into professional work — comic art, that is — I know that a lot of readers missed out on her developing style in books like Vampirella, Gatecrasher, and Painkiller Jane. If you only knew her from her early work as a Marvel utility hitter in the early 1990s, The Pro was an excellent re-introduction to the clean, expressive, often hilarious Conner that has made her a top-tier artist today. Sure, she was drawing a bunch of “Batman is gay, and Superman’s sperm is like, a machine gun, haw haw” gags here, but it’s a testament to her art that I still kind of enjoyed it. Hot off the heels (okay, a couple months late but that’s a Spawn tradition) of his big screen debut, Spawn tops the charts with this issue. 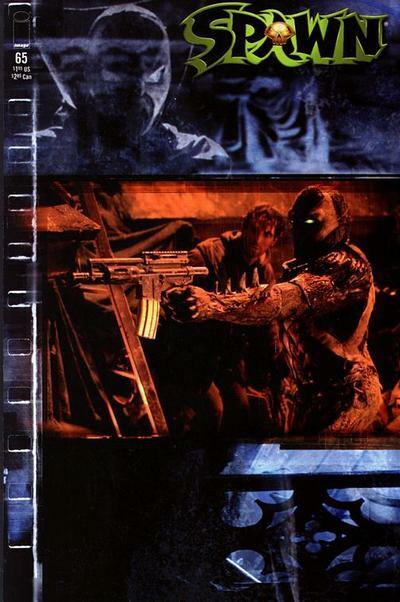 It had a photo cover from the movie, and is a recap/jumping on point for all those moviegoers who couldn’t get enough Spawn. Believe it or not, this is not the last time Spawn topped the Diamond charts. I’d say stay tuned, but it’s going to be like two years before I get to it, so click here for spoilers! Flash #130, starting a twelve issue rest for Mark Waid, who was spelled by Grant Morrison and Mark Millar. These stories got reprinted in two collections recently, and while I have yet to revisit them, I remember them being decent one-off superhero stories, basically what you’d expect from Morrison trying to emulate Schwartz-era DC. It also introduced one of the many Young Heroes Who Aren’t Blonde Girls or Brunette Boys who seem to have disappeared in the New 52. Batman/Spider-Man, one of the seemingly endless Marvel/DC crossover books that devalued the concept to the point that the first-ever titular team-up of these two world-famous heroes sold less than Alpha Flight and only slightly more than KISS: Psycho Circus. In Catwoman #50, Catwoman got a suit of armor! It’s only logical, as it was what all the kids were doing in the 1990s — Spider-Man, Batman, Captain America, Hawkeye, Daredevil, the entire Justice League — it’s only logical that Catwoman would follow suit, at least for one issue. Off in the realm of comics I actually liked, Stormwatch #50 by Warren Ellis and Tom Raney wrapped up “Change or Die”, and the first volume of the Wildstorm series. Mike Allred debuted the awkwardly-sized musical pastiche Red Rocket 7 at Dark Horse. It’s now available in a slightly less awkward “seven inch single sized, not ten inch EP” collection. David Lapham also put out the first Amy Racecar Color Special, and in a heartwarming/creepy move, Mark Gruenwald’s ashes were mixed into the ink for the first reprint of his magnum opus Squadron Supreme, released one year after his passing. I am certain I bought this book when it came out. I am also certain I remember nothing that happened in it. John Romita Jr. drew this, which means he drew two #1 comics fifteen years apart, something I am guessing puts him in elite company. The only other person that springs to mind as a likely competitor for that is Jim Lee, though it hasn’t happened yet in the months I’ve covered. Despite this being early “We Have No Idea What We’re Doing Post-Claremont and Post-Image-Exodus And Who The Hell Are All These New Characters” X-Book territory, if the cover is any indication this is some prime blocky, grimy, sweaty JRJR/Dan Green art. I may need to dig this up. Speaking of the Image Exodus, Jim “Adios” Valentino’s credit in Guardians of the Galaxy #29 marks the last Marvel book by an Image Founder until Heroes Reborn. Image really started putting out books in August 1992, with the debuts of Shadowhawk and Cyberforce turning twenty this month. Each of Image’s books this month came with coupons you could collect to send away for Image Comics #0. Of course, Youngblood #0 (containing one of the coupons) was delayed. This made them push back the deadline for submitting the coupons, which pushed back the printing of Image Comics #0 to March 1993. Then in April, postcards were sent announcing that the book was delayed until August. I still have mine somewhere. The book was finally shipped out and people began receiving them in October 1993. 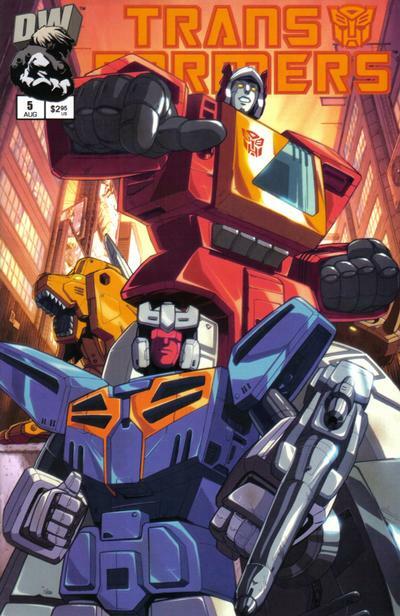 This became a proud Image tradition: the tenth anniversary Image hardcover came out in 2005, nearly three years late. Image United, a book intended to integrate Robert Kirkman as an “Image founder” along with the other remaining founders was announced at the 2008 San Diego Comicon, and the first of six issues came out November 25, 2009. Two more issues came out in 2010, but the remaining three are MIA over two years later. There’s still four months for them to wrap the mini up before their 20th Anniversary ends, though! Fantastic Four Annual#25 introduced The Anachronauts, a team of time-flung warriors under the thrall of Kang. They were created by Mark Gruenwald and Herb Trimpe. Yes, that Herb Trimpe, the one who had been drawing comics for decades and probably drew the picture of Hulk on whatever merch you had in the 1970s or 1980s. Brian Cronin covered this a few years back, but this stylistic change was all Trimpe’s idea, trying to capture the zeitgeist of what “the kids” were into. This is an odd enough footnote, but Jonathan Hickman actually dredged the gang up again in his recent Fantastic Four run. DC was still in something of a holding pattern in August 1992 — they had yet to strike gold with the killing and maiming of their iconic characters. But it was on the horizon! Jean-Paul Valley, the man who would be EXTREME BATMAN, debuted in Sword of Azrael #1 by Denny O’Neil and Joe Quesada. At the time this seemed like just another forgettable #1 getting churned out — the same month saw series or mini-series for Darkhold, Darkstars, Guy Gardner, Martian Manhunter, and Night Thrasher — and in the grand scheme of things, Azrael really is a footnote on the level of a Night Thrasher or Darkstar. But come 1993, he was the hottest thing since chromium die-cut sliced bread. And he debuted twenty years ago. It’s also been twenty years since Bat-Mite made his first “Post Crisis” appearance in Legends of the Dark Knight #38 by Alan Grant and Kevin O’Neil. I hadn’t realized that Bat-Mite only made a dozen or so appearances in the campy 1960s comics, before disappearing for fifteen years, only to appear in Ambush Bug #3, retired and married to Starfire-Mite. 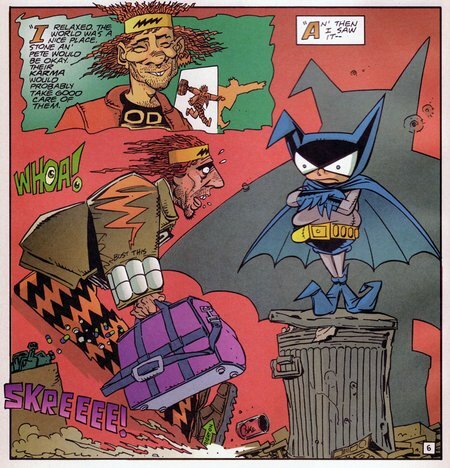 He’s only appeared a few times since — the Grant/O’Neil sequel Mitefall, Evan Dorkin’s all-star World’s Funnest jam, and most recently in Batman R.I.P. Not a bad run for the DC equivalent of the Great Gazoo! August 1992 was a big month for funny comics and me. Not only did LOTDK #38 come out and introduce me to the art of Kevin O’Neil, I also picked up that month’s Ambush Bug Nothing Special, just in time to fall in love with the character and start using it as a screen name on Prodigy that fall, instantly making everyone assume I was about forty because I thought jokes about Julie Schwartz and Rex the Wonder Dog were funny. It was also the month that my favorite issue of Bill & Ted’s Excellent Comic Book (the one where they are horrified to learn that their bro Abraham Lincoln was assassinated, and try to save him, then later try to assassinate him to preserve the timestream) came out. Between Giffen, Dorkin, the Sam & Max: Freelance Police comic from the month before, and the discover of Flaming Carrot Comics, I definitely had a lot of things to utterly fail to bond with my classmates over come junior high. This month marks the silver anniversary of the Marvel Masterworks reprint series. This may seem like a small thing in 2012, but in the late 1980s, the idea of being able to (semi) affordably purchase and read all of the early Lee/Kirby/Ditko/et. al Marvel runs without some sort of complicated map of Marvel Tales and Marvel’s Greatest Comics reprints was a new and beautiful thing for a young comic nerd such as myself. 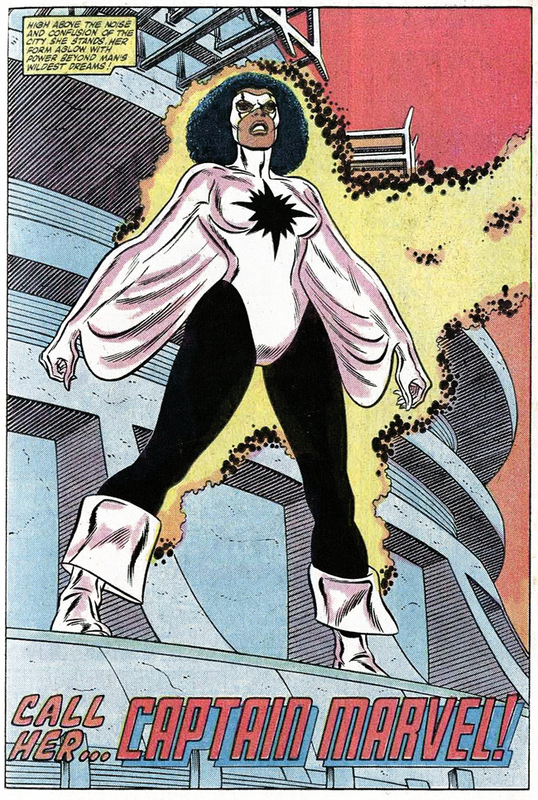 Sure, she was created primarily to cling onto the Captain Marvel trademark, but thirty years ago Roger Stern and John Romita Jr. introduced Monica Rambeau in Amazing Spider-Man Annual #16. While I think she is best known today as a punchline character from Nextwave, as someone who cut his teeth on Stern/Buscema Avengers, she’s always been a sentimental favorite. 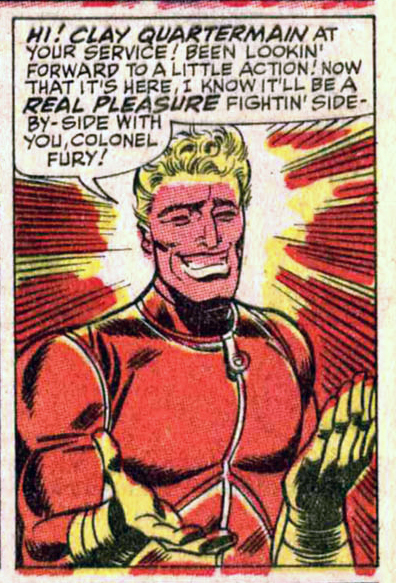 Plus, check out that outfit, a somewhat less convincing version of Luke Cage’s “I guess I should pull some stuff together that kind of resembles a superhero get-up” costume! That’s also the set-up for both of Static’s costumes… what is it about black superheroes not being able to afford bespoke superhero costumes? Something has to be done about the Unstable Molecule Achievement Gap! Bureaucratic stuffed shirt Henry Peter Gyrich debuts in Avengers #165 by Jim Shooter and John Byrne. 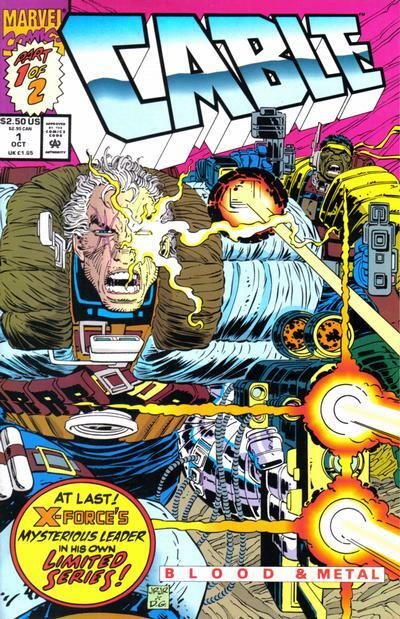 The character’s creation is widely attributed to Shooter and George Perez, presumably because Gyrich wasn’t named until his third appearance in Avengers#168. It’s also possible that there’s more to Perez’s contribution than I’m aware. There’s also the potentially apocryphal story that Gyrich is meant to be short-lived Dennis the Menace ripoff Peter the Little Pest all grown up, which would put the character’s pedigree even further into question. 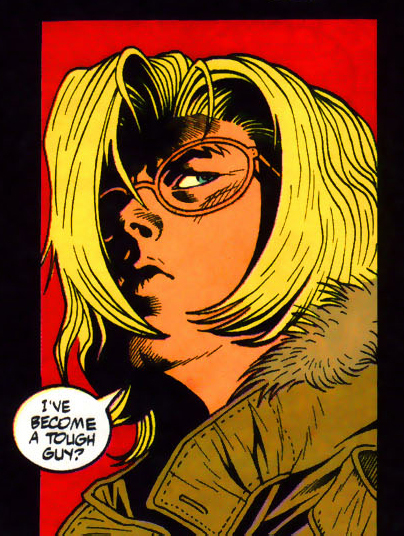 Gyrich has always been one of my favorite marginal Marvel characters, one of the too-rare antagonists in superhero comics who isn’t evil, just working at cross-purposes to our heroes. Then again, in recent years he’s been bankrolling Nazi scientists to experiment on teenaged corpses, “accidentally” helping Red Skull infiltrate the government as “Dell Rusk”, brainwashing D-Man and turning him into an extrajudicial assassin, and leaking the names of people in witness protection, so maybe he’s just another villain now. 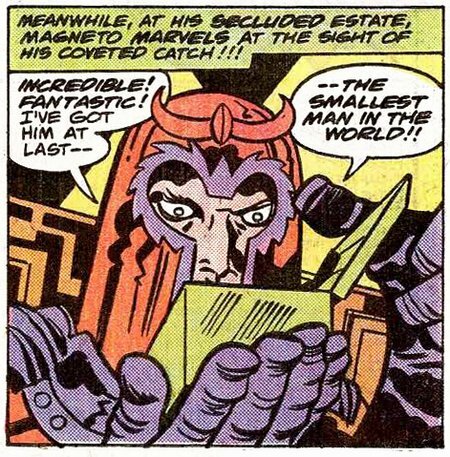 Speaking of villains, Captain America Annual #4 by Jack Kirby featured a classically villainous Magneto, who for some reason had a tiny UFO and desperately needed a tiny mutant man to break into it. Luckily for him, some dude in Brooklyn put out a classified ad about how he had a tiny mutant looking for a good home. I think this was the only time in Kirby’s latter-day Cap run that he acknowledged characters from other Marvel titles, though to be fair Magneto had a completely new Brotherhood (Burner! Lifter! Peeper! Shocker! Slither!) instead of any traditional X-Men villains. 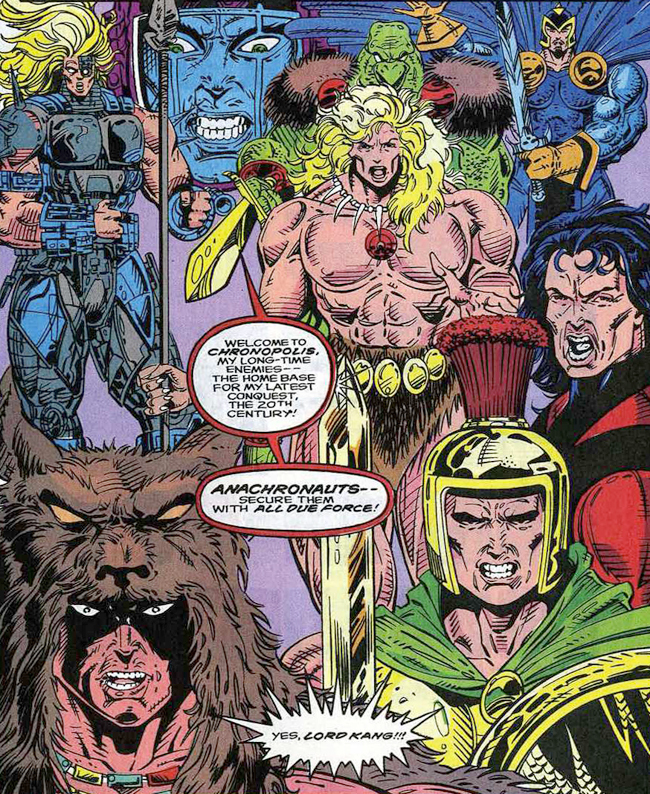 Remarkably, these characters popped up again — first as Mutant Force in Defenders under Ed Hannigan and Herb Trimpe, and again as The Resistants in Captain America by Mark Gruenwald and Kieron Dwyer. Even more amazingly, they even made it into the 1990s X-Men animated series! I guess even the least of Kirby’s creations hold some mystique to people. 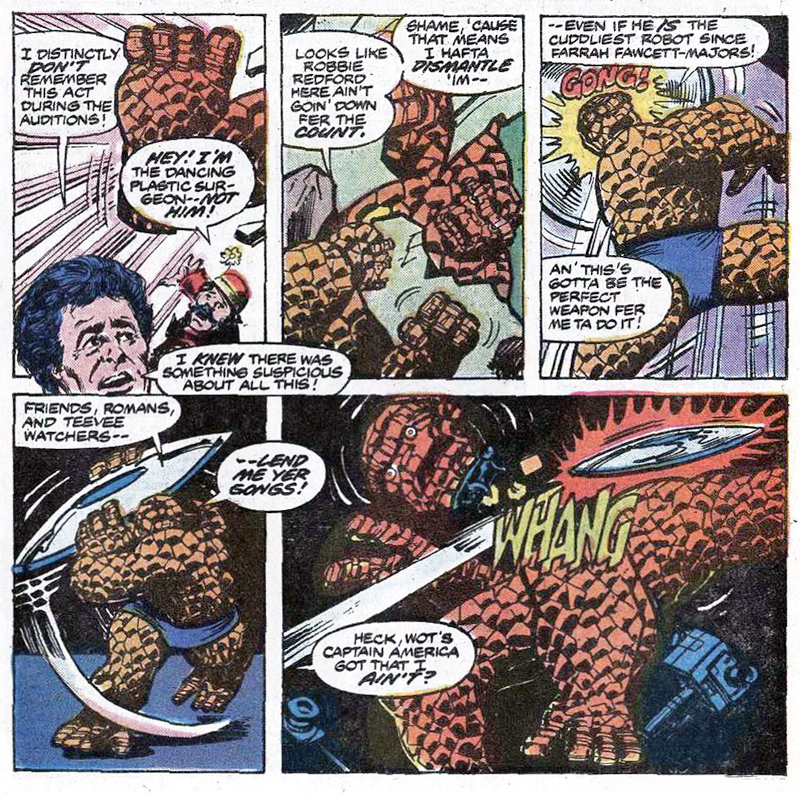 Over in Fantastic Four Annual #12 by Marv Wolfman and Bob Hall, the Thing kills an evil android version of himself on The Gong Show. 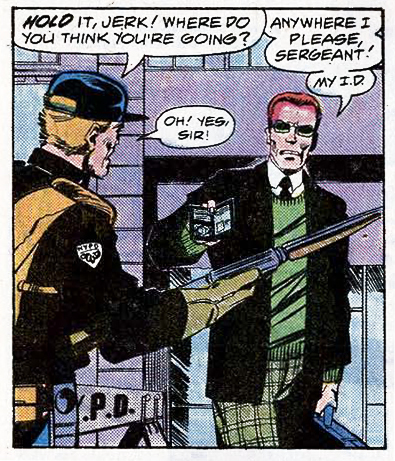 Jim Steranko introduced Smilin’ Clay Quartermain to the ranks of S.H.I.E.L.D. in Strange Tales #163. Quartermain served with distinction for over four decades before being killed off-panel in Hulk #6 by Jeph Loeb and Ed McGuinness. If I kept listing every single character Jack Kirby and Stan Lee created in Fantastic Four, these posts would be twice as long. In 1967 they debuted Psycho-Man in FF Annual #5, and fifty years ago the father/daughter combo of Philip and Alicia Masters were introduced in FF #8. Phil is better known as the Puppet Master, and Alicia is better known as The Thing’s Blind Girlfriend Who Never Married The Human Torch What Are You Talking About That Was a Skrull, Ha Ha. 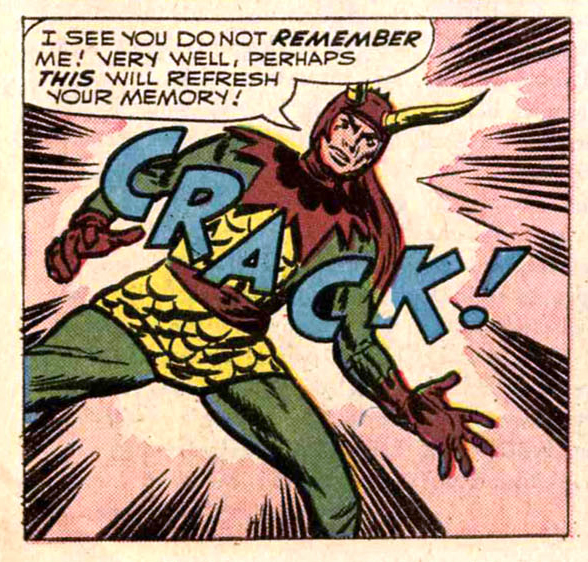 Lee and Kirby were also building up Thor’s rogues gallery, as Loki debuted in Journey into Mystery #85. Now of course, some might trace this character’s first appearance to the 13th century or earlier, but it took Kirby to give him a big ol’ horned helmet, and that’s what ended up in the movies, so that means Loki is fifty years old. CRACK! And last (and perhaps least, though he’s had a storied history, most recently playing a prominent role in Jonathan Hickman’s Fantastic Four), fifty years ago Stan and Jack introduced the Wizard in Strange Tales #102. Here now is his first appearance, in three panels. Those are some spectacularly ugly faces. See you all next month. Or later this week. Thanks to Jamaal for keeping the home fires burning on FBB last month. You should check the heck out of his piece on King City, Raekwon, love, loss, cities, and maturity.